After building a few project and with some of them actually working, always a pleasant suprise, I though it was time to invest in some gear to measure the stuff I build. 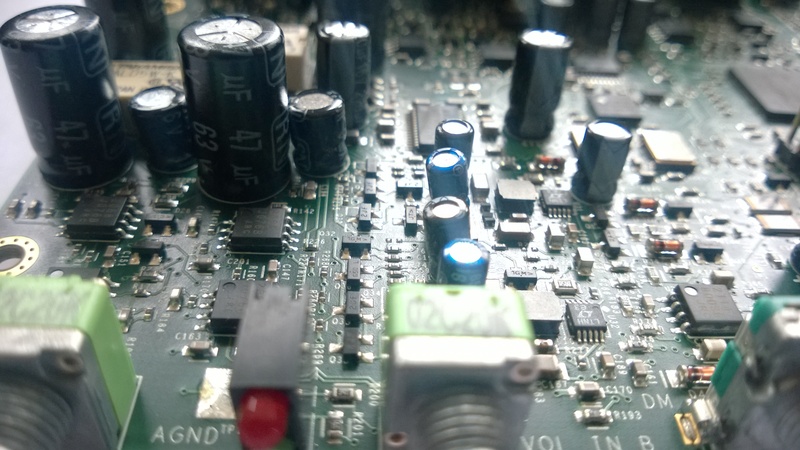 Just listening is only so good of an indication if a project works like it should. 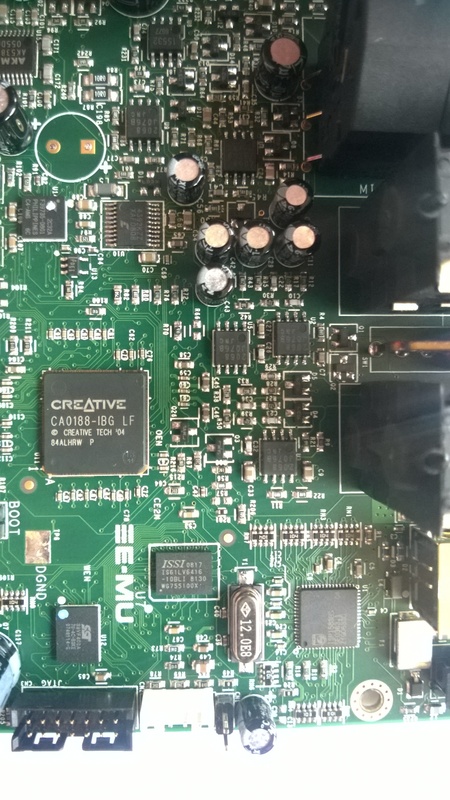 After some searching online I found a second hand Creative E-mu Tracker pre USB sound interface. It’s a fairly professional unit with balanced input/output, a class A headphone amplifier, clipping indicator and more pro audio goodies. 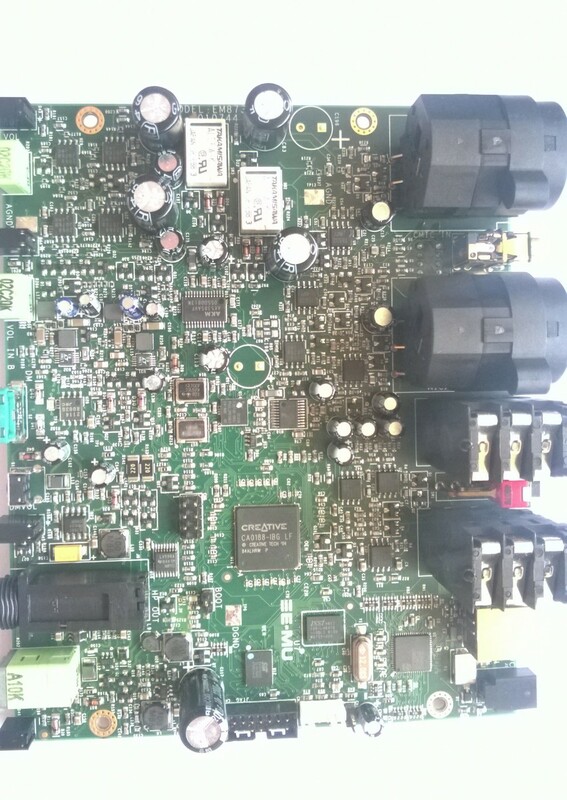 The specs are quite good, distortion around 0.001% and a signal to noise ratio of 112db. 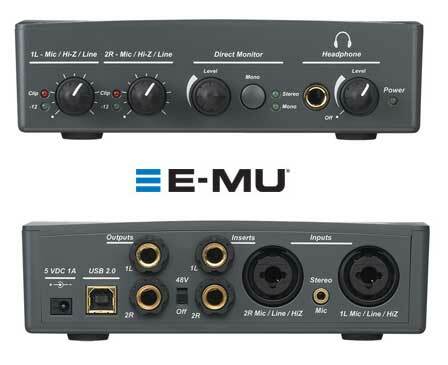 It can do 16 and 24 bit and anything between 44.1Khz up to 192Khz. The inside looks as professional as the outside. 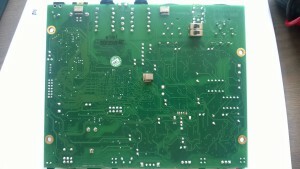 A nice and busy 4 layer PCB with on the first sight good quality components and connectors. 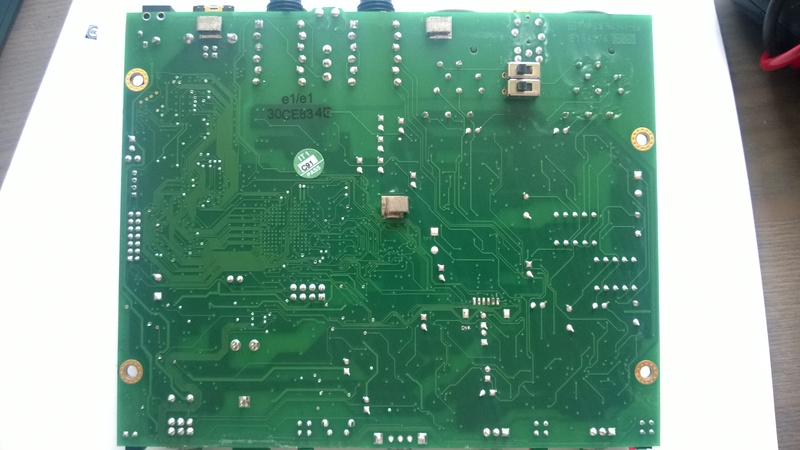 The bottom of the PCB only contains a switch to lift the right and left ground in case of a ground loop. 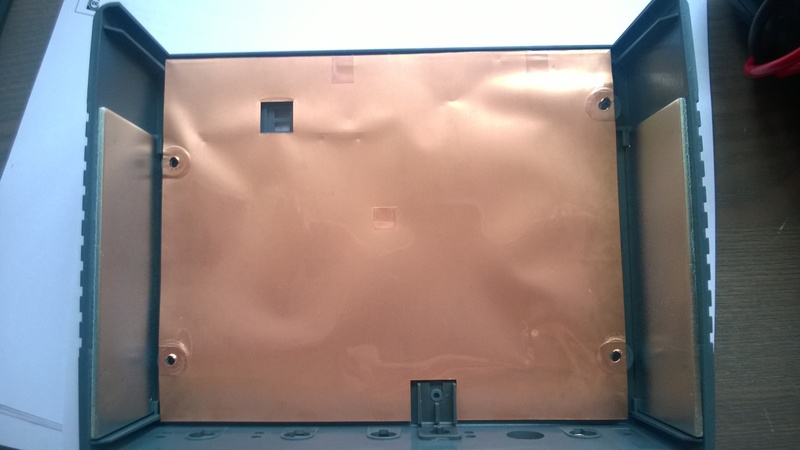 The inside of the plastic enclosure is shielded with copper foil. 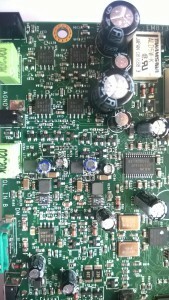 Time to have a closer look at the PCB. 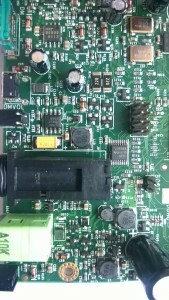 The USB interface uses a philips USB controller, the ISP1583. 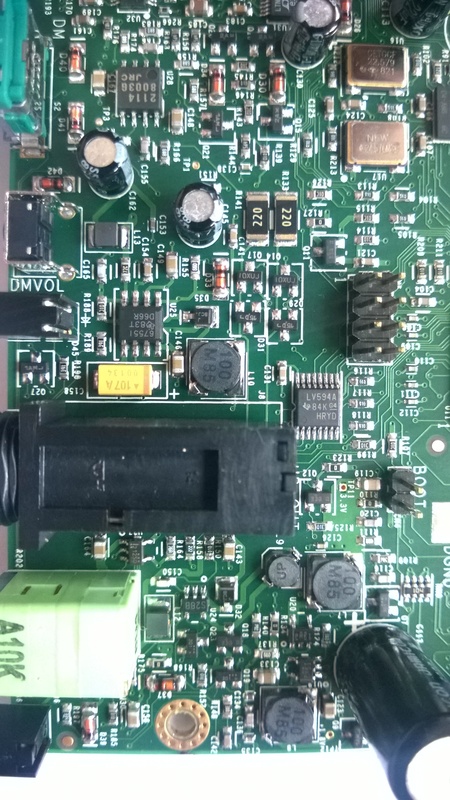 A big creative IC with some external RAM (issi is61lv6416 64K SRAM) and FLASH (SST 39vf400a 4mbit FLASH) most likely does the USB to digital audio conversion. 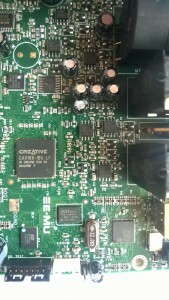 The D/A converter is the CS4392 from cirrus logic and the A/D converter is the AK5385 from AKM. It seems that Creative did some shopping at JRC, the Japan Radio Corps. I spot a lot of 2068‘s and some 2114‘s. Also a few unbranded 15532‘s, an NE5532 equivalent. 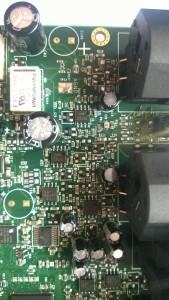 The class A headphone output is most likely done with the 4 transistors left of the 6.3mm plug. Those go directly to the headphone plug and are probably the output stage. 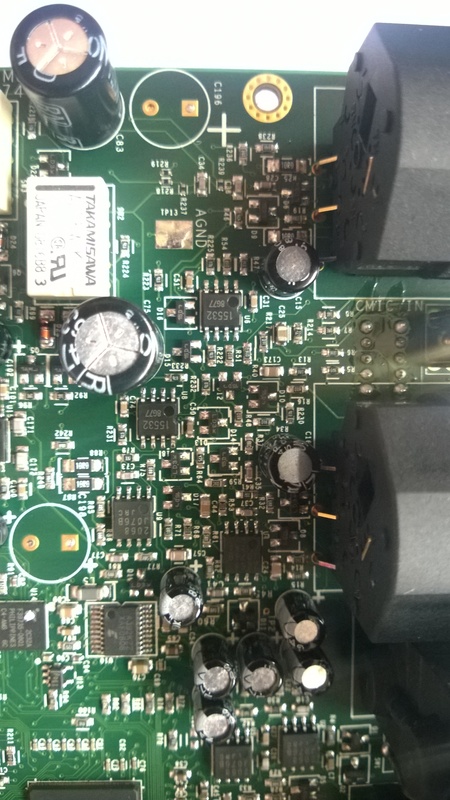 The input stage can be discrete or an opamp, with a 4 layer board that’s almost impossible to say. At the bottom of the page are 4 high res photo’s of the PCB, a quarter of the PCB per photo roughly in case anyone wants to have a better look. All in all I am quite happy with the Tracker pre. The performance is good, the build quality and used parts are also good and I got it for a nice price second hand. 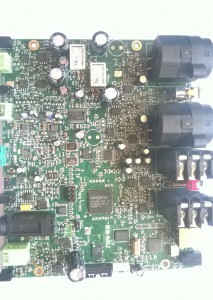 Expect some measurements of amps soon.